Alyona Aleksandrovna Borisova, Doctor of Economics, Head of the Management Department of the Faculty of Business of Novosibirsk State Technical University, and Aleksey Vladimirovich Chuvayev, PhD in Economics, Associate Professor of the Management Department of Novosibirsk State Technical University, a multiple winner of international competitions among managers in the field of Enterprise Management (Global Management Challenge; BanksBattle; BusinessBattle), an expert in the field of gamification application for manufacturing processes, were invited by the Economics and Management Department within the framework of the Visiting Professor Program. The following topics were offered by Alyona Aleksandrovna Borisova: •‘Energy-management’ and ‘Time-management’ techniques, ways to improve personal effectiveness and find productive capacity reserves; •the techniques used by employers to find and attract professionals and recruitment funnel management; •university graduate employment. In addition, the lecturer showed how to write a CV to attract the attention of potential employers and find their dream jobs; she shared her experience of organizing and monetizing the results of research and innovation activities of NSTU students. Aleksey Vladimirovich Chuvayev’s program was no less interesting; it included two modules: ‘Lean Manufacturing’ and ‘Unit-Economics’. The students learned (through role-playing games as well) to identify and eliminate the seven wastes according to Lean Manufacturing theory, to model the assembly line at a manufacturing company and develop a manufacturing flow based on the principles of Lean Manufacturing, to work in a team environment and make decisions in groups, to develop communication skills, to focus on key issues and be result-oriented. Besides, the students gained some understanding of the issue of ‘Unit-Economy’ and tried to determine the effectiveness of their business model. The short but varied program (May 7-8, 2018) covered some issues that were of particular interest to the University faculty as well. 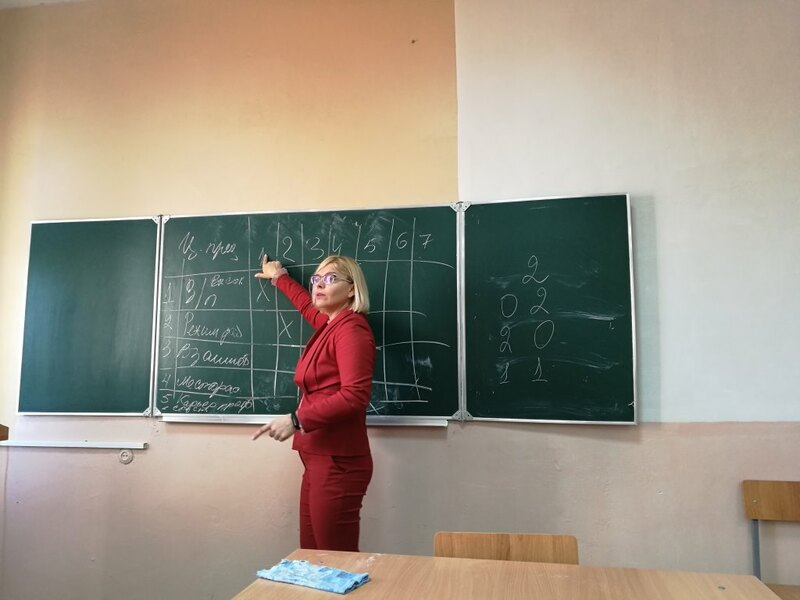 A.A. Borisova provided some information related to the activities of the Faculty of Business of NSTU and areas of the research performed at the university. In addition, she suggested some possible directions for further cooperation. A.V. 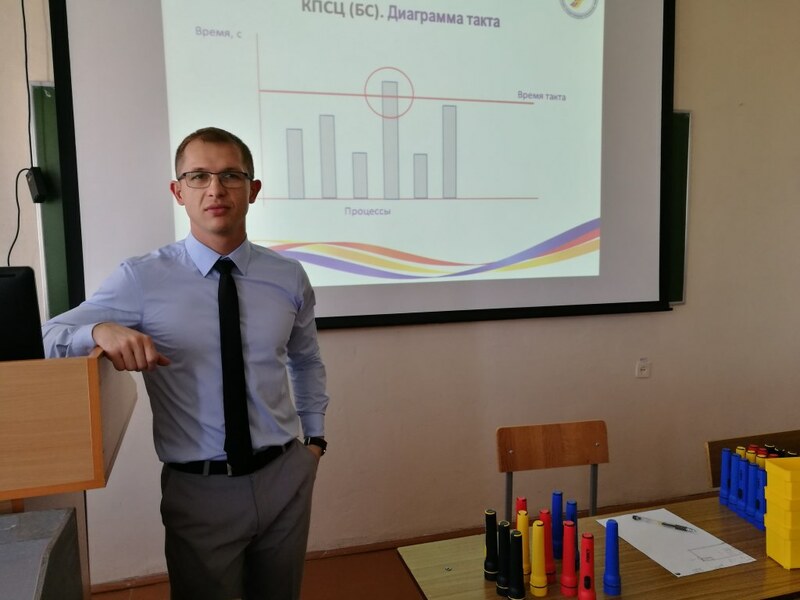 Chuvaev shared his experience of participating in the world’s largest strategy and management competition Global Management Challenge and the experience of using gaming technology to solve a commercial company’s problems and gamification of business processes.